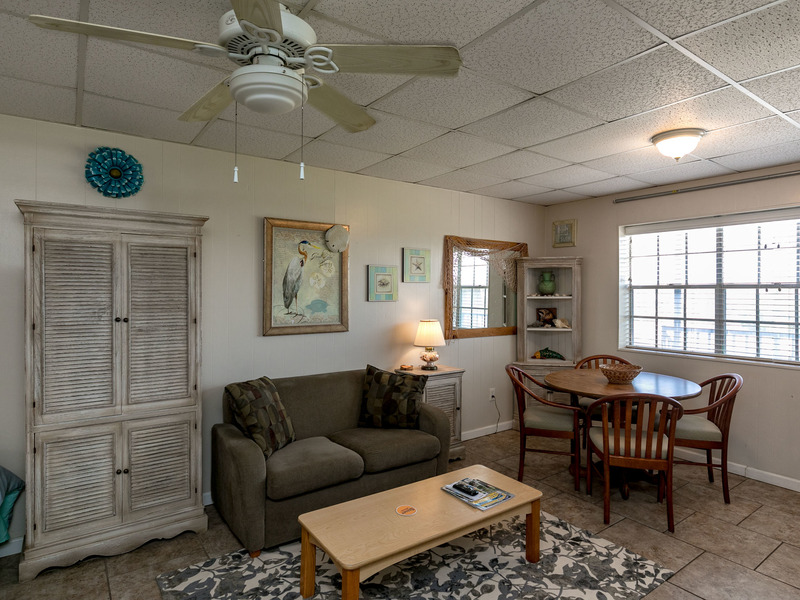 Buried Treasure is a lovely efficiency located in Island Retreat. 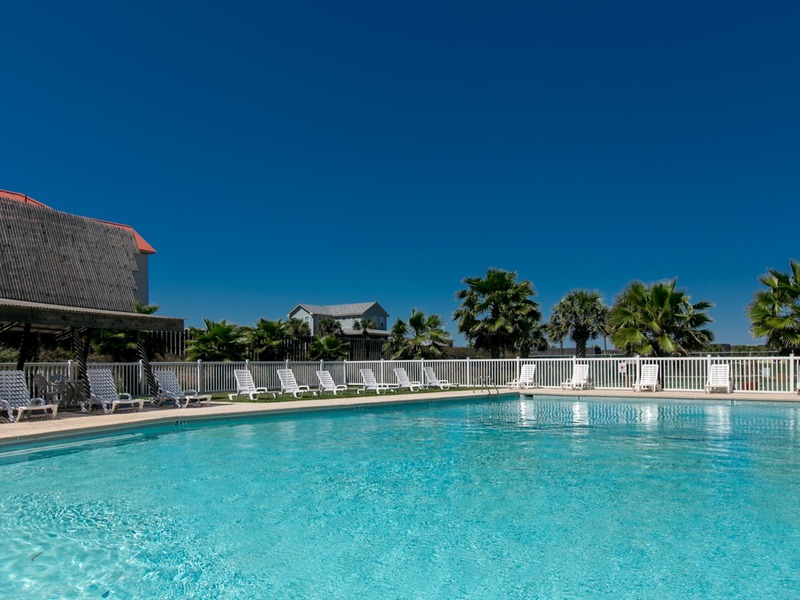 Enjoy everything this property has to offer including a large pool with pool views, boardwalk to the beach and Ocean Breezes! 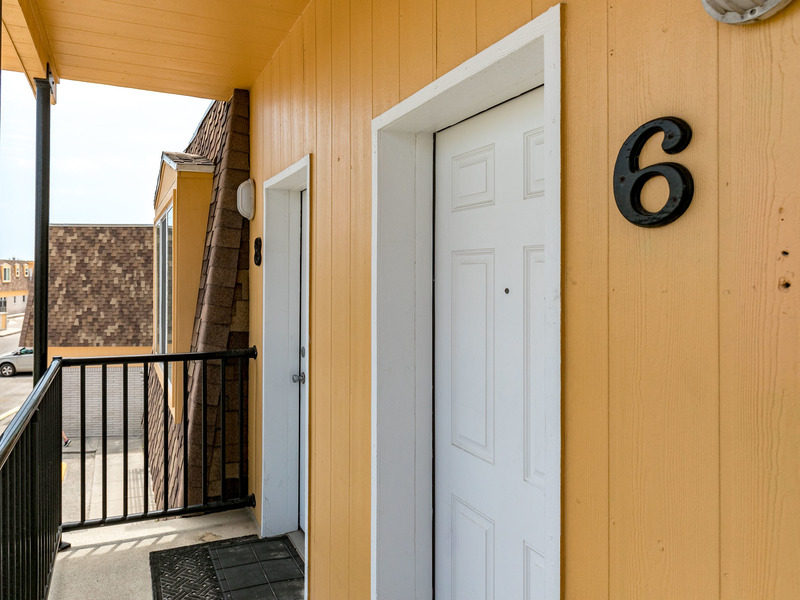 We guarantee that the moment you step onto the front porch and into the cool, sun-dappled living area, your stress will drop away and your creativity will soar. 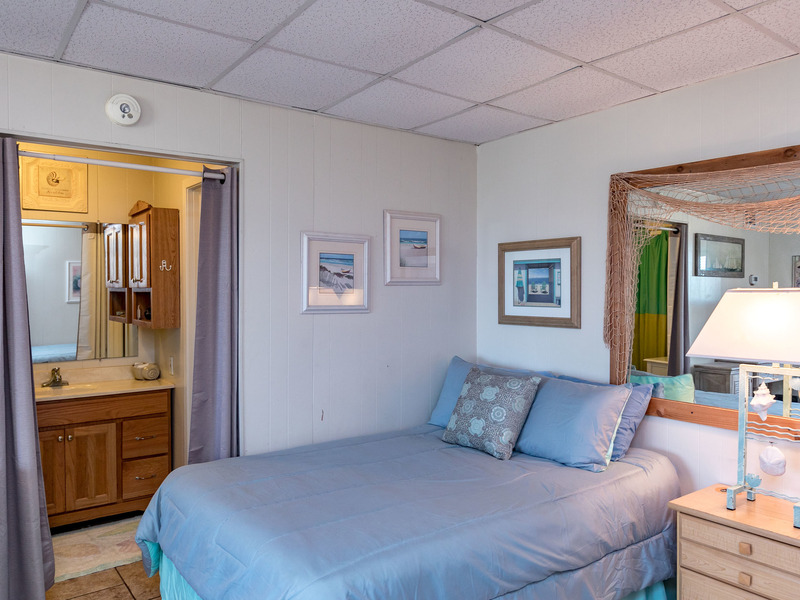 This efficiency plus one-bath unit is located on a tiny lane and is a perfect and spacious retreat for up to 4 adults. 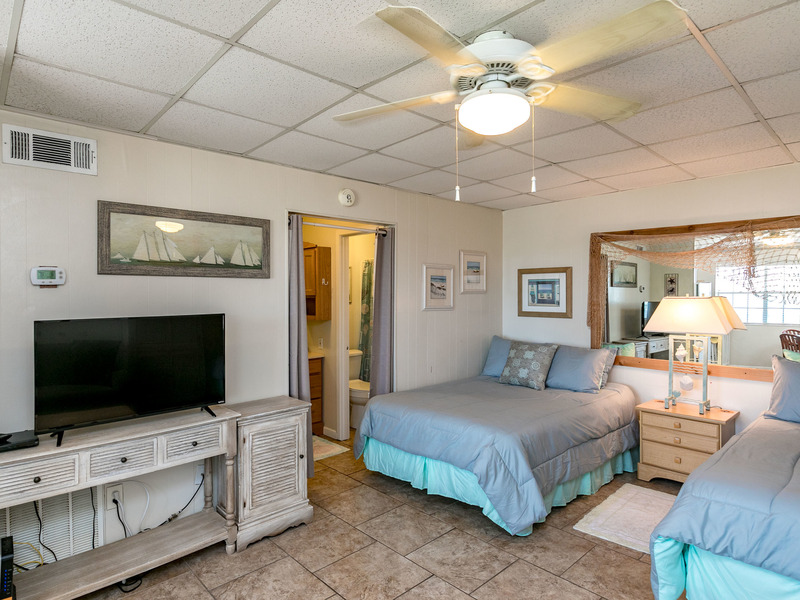 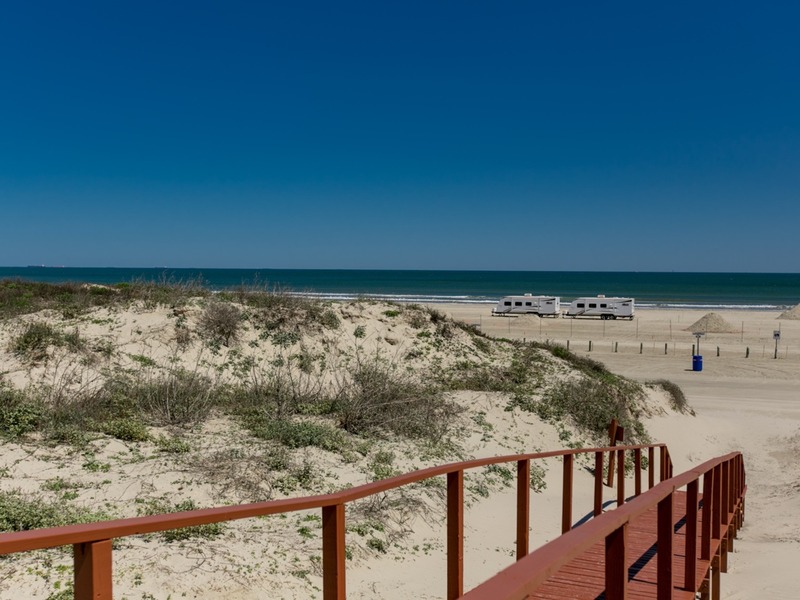 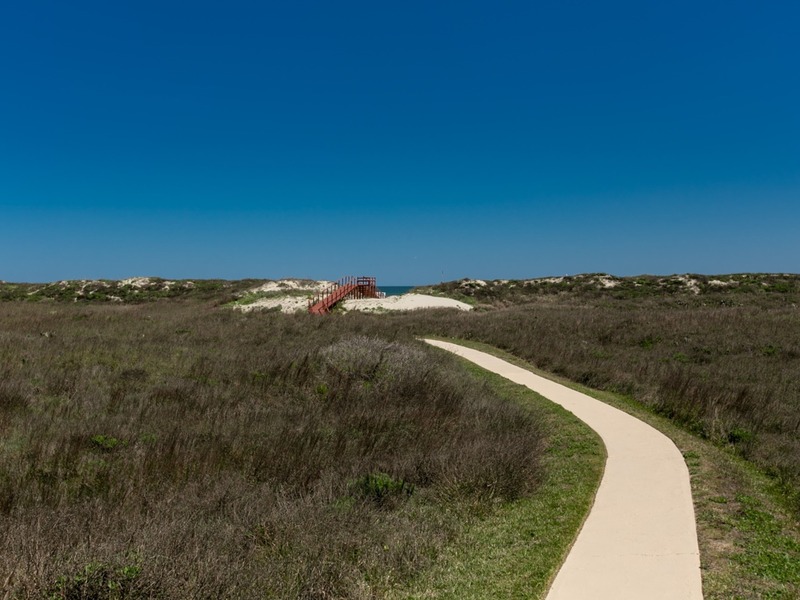 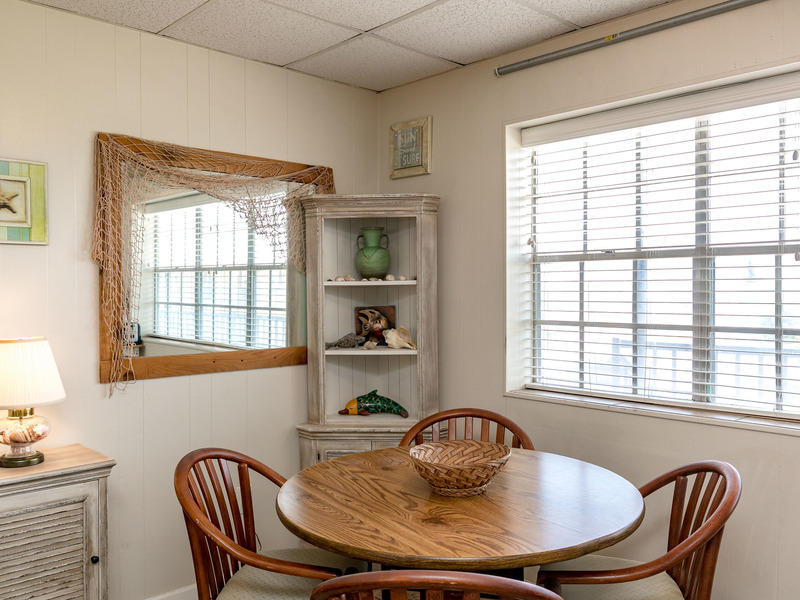 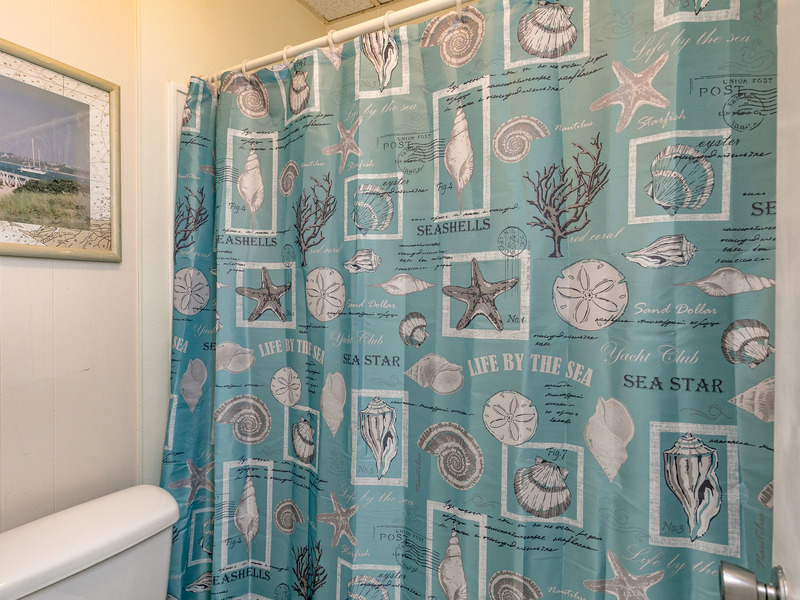 Buried Treasure is a lovely home with everything you need to enjoy a fun filled Port A Vacation! 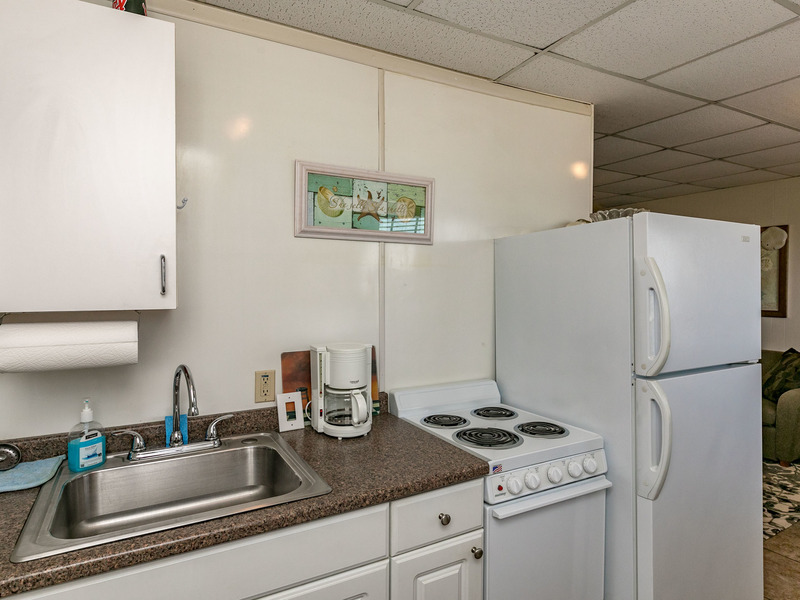 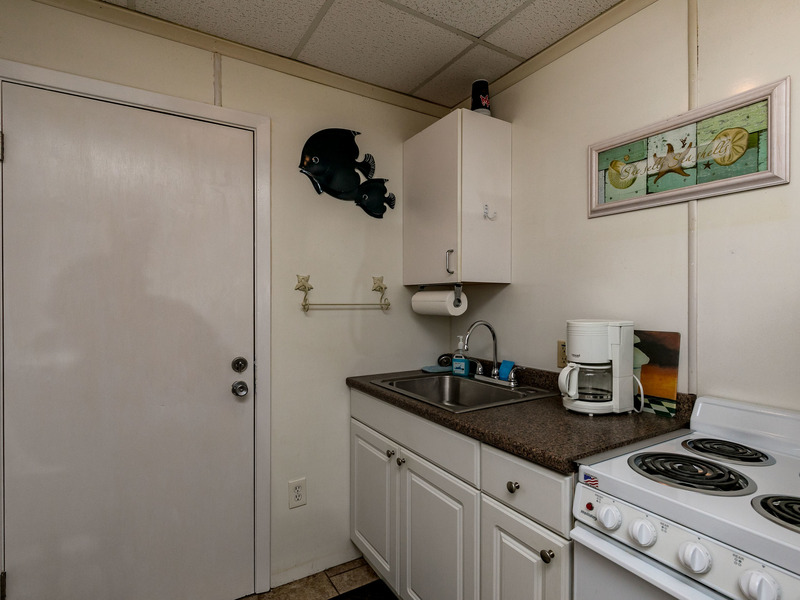 The kitchen has a full size refrigerator and a 4 burner gas stove, coffee maker, microwave, and a toaster. 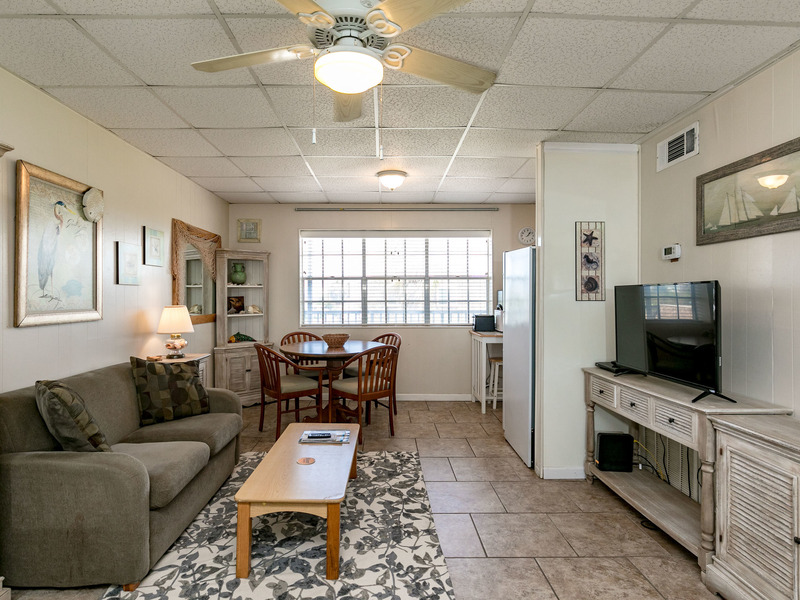 The living room has a comfortable sofa with chaise, television with cable, and free wifi. 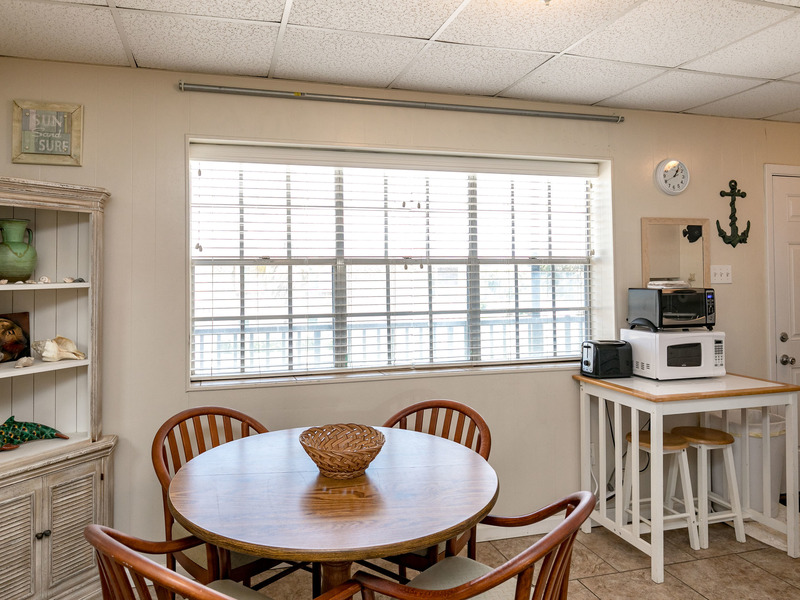 The dining table can be used for both dining and/or setting up your laptop. 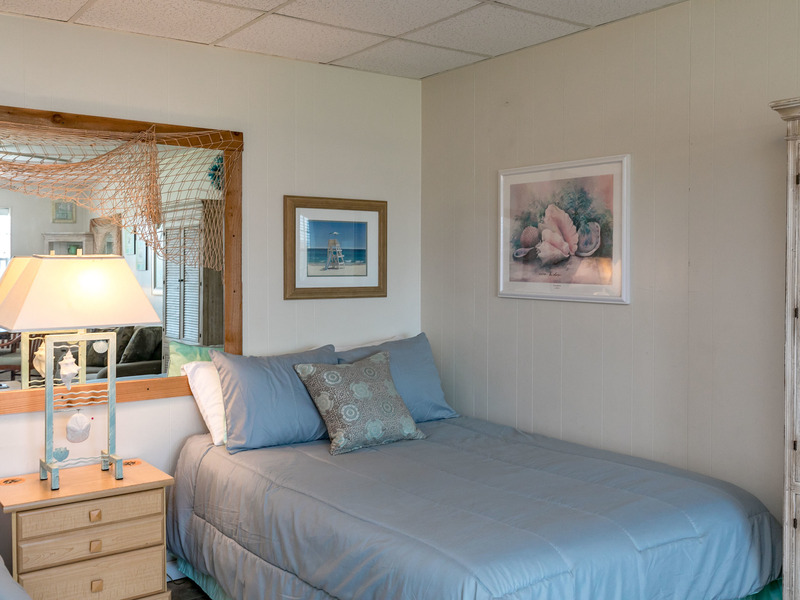 The two Queen bedrooms are cozy and comfortable. 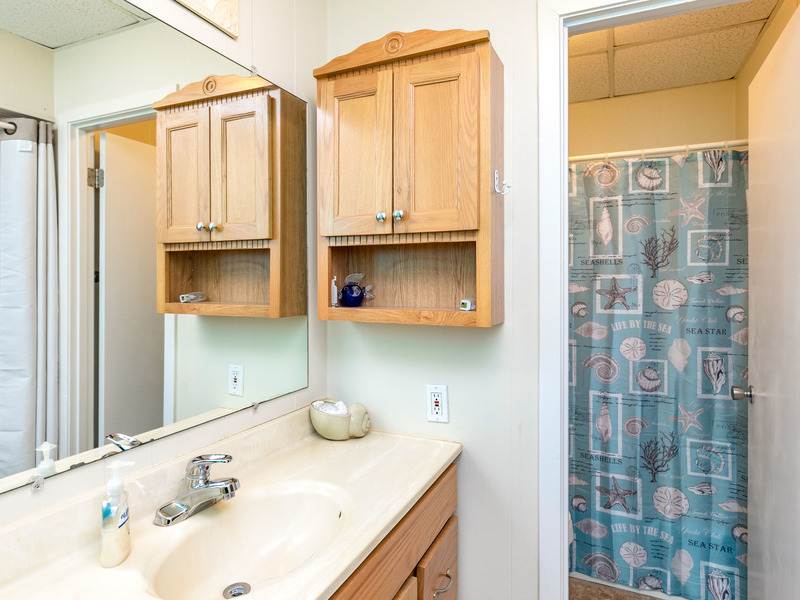 The bathroom has a tub /shower combination. 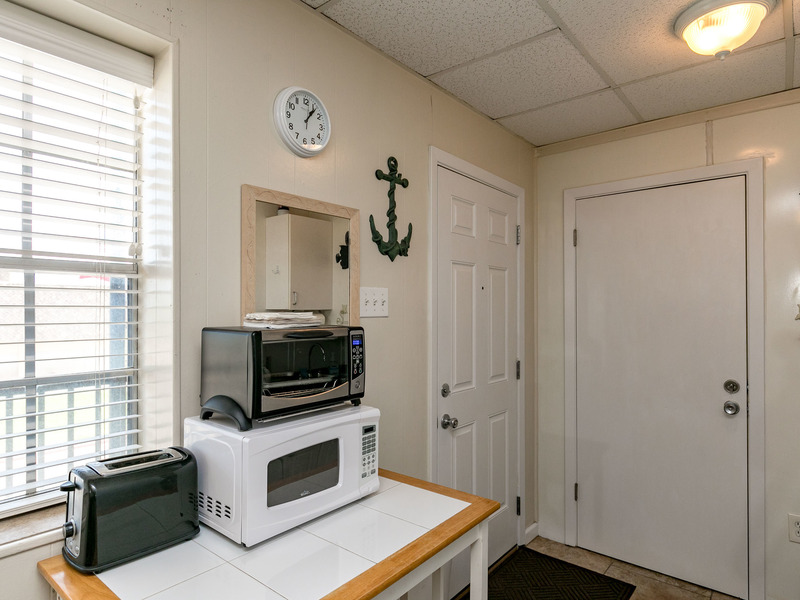 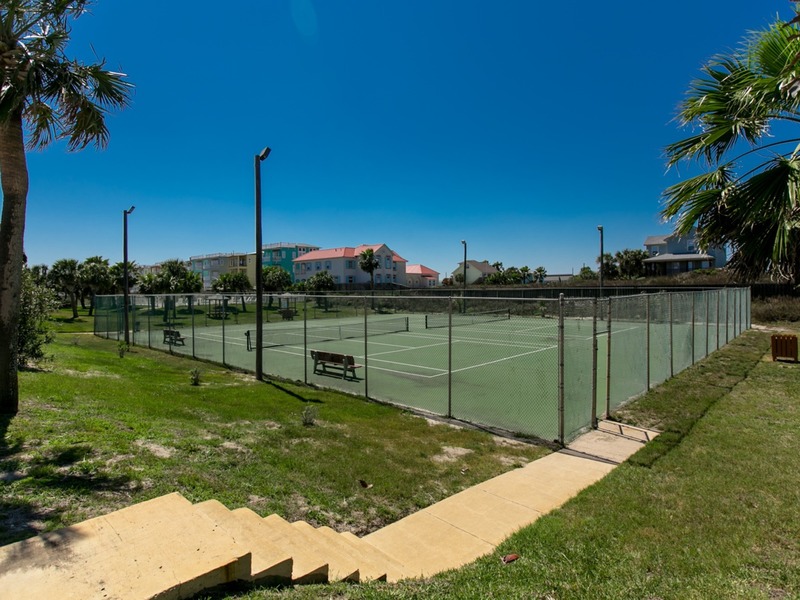 Located just a few blocks from all of the shopping, restaurants and activities. 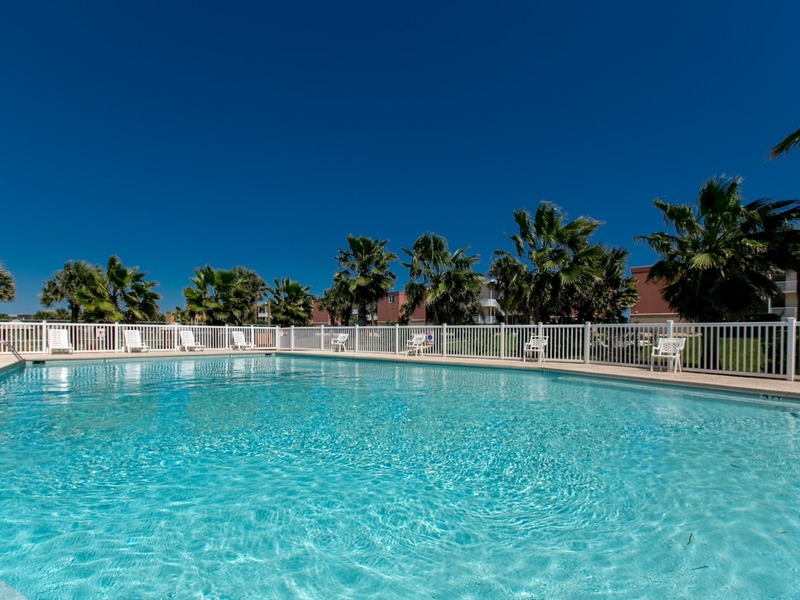 Enjoy the pool after a long day at the beach. 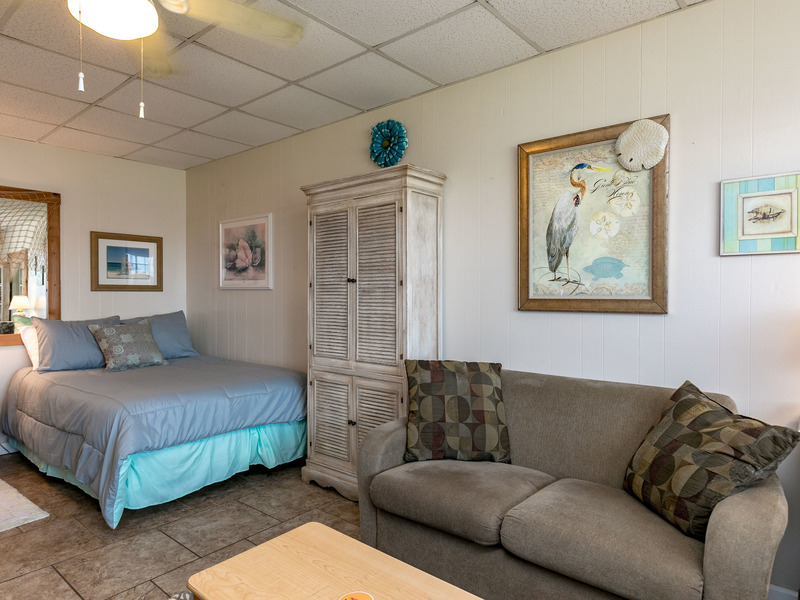 Buried Treasure is the place for you!